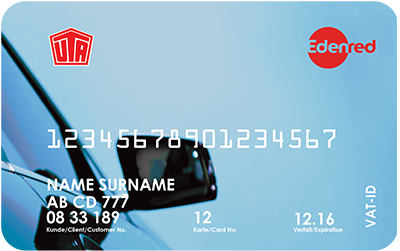 As of July 2018, the various fuel cards issued by UTA – one of the leading suppliers of fuel and service cards for European transport professionals – have been accepted in France in Cora hypermarket service stations. UTA has thus furthered its card acceptance network with service stations selling fuel at the best prices. The agreement signed with Cora at the start of the year came into force at the end of July in all of the retailer's 58 service stations in France (28 of which are equipped with high-flow fuel dispensers). The cards are initially accepted by the automated fuel dispensers (AFD) used in all the brand's stores, thus offering 24/7 refueling availability. UTA's French network now comprises almost 3,100 service stations, making it one of the country's leaders. In all, UTA cards provide access to a multi-brand network representing more than 48,000 service stations in 37 European countries. In addition to refueling, UTA cards include other services such as payment of tolls in certain countries, workshop repairs, breakdown assistance and towing, as well as the recovery of VAT and other taxes. This partnership will also extend the number of service stations that accept the Ticket Fleet Pro® solution, Edenred's fuel card on the French market. Its racceptance network now comprises 2,700 French service stations, with Auchan, Cora, E. Leclerc, ENI, Esso Express, Esso, Avia, BP, Shell, Agip, and Dyneff.